Finland became an independent state on 6 December 1917. The newly born state was willed into being by the Finns after a long struggle. 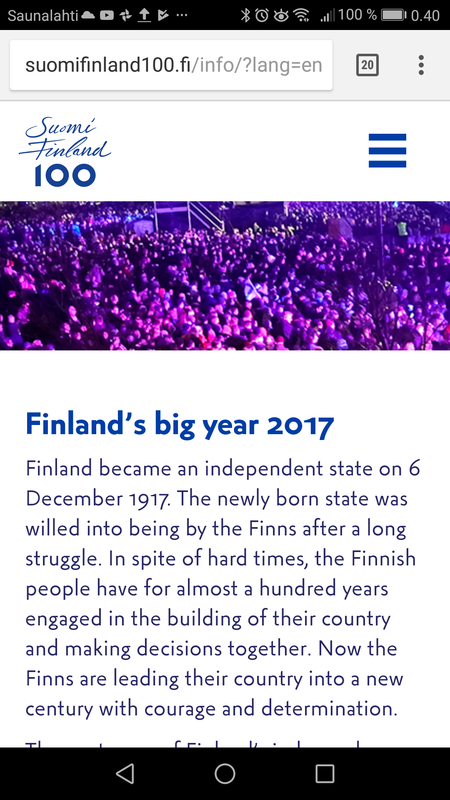 In spite of hard times, the Finnish people have for almost a hundred years engaged in the building of their country and making decisions together. Over one hundred years, Finland’s population has grown with 2,5 million. In 1917 we were around 3 million, and now the number is 5,5 million. Over one hundred years Finland and the Finns have changed quite a bit. The changes can be seen in small as well as in larger things. We are healthier and we live longer. But what about getting wealthier – well, that depends on how you choose to measure wealth. And also computer demoscene motherland. 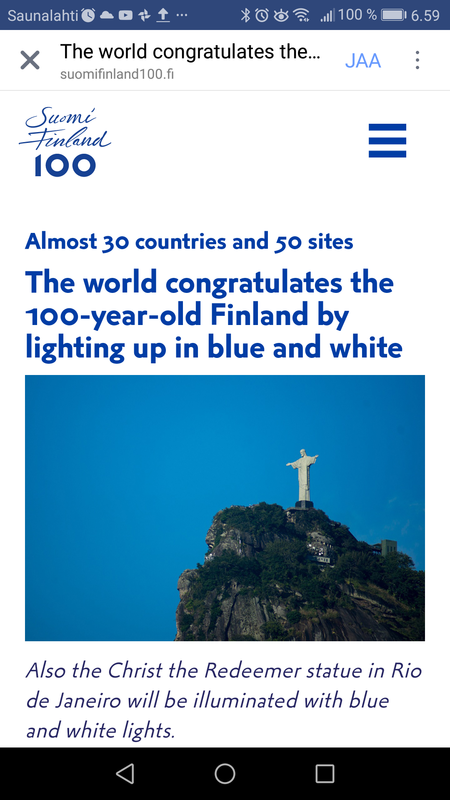 Finland is not 100 years old. Finland is much older than the modern concept of a sovereign nation state. Even before that, there was a geographical region called Finland whose inhabitants were called Finns and many of them spoke Finnish. This area was under Swedish rule since the crusades. Finland can be seen as an abstract set of things that are Finnish. Finnish war epic Unknown Soldier has taken more than $14m at the local box office, making it the biggest film ever in the territory since modern records began in the 1970s. In the same period, the 830,000 admissions for the movie are second only to Titanic. Aku Louhimies’ historical epic, which cost around €7m, has also smashed the Guinness World Record for the most high-explosives detonated in a film take.